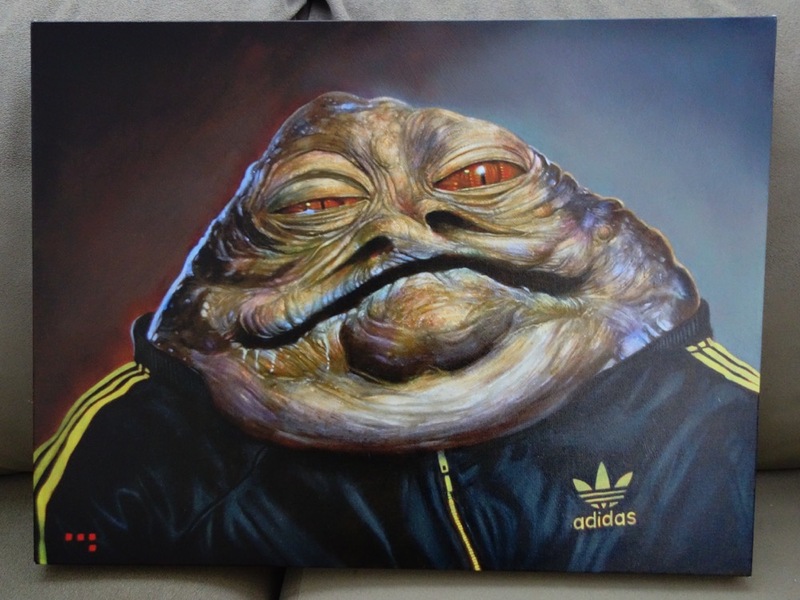 I first posted about the artist Duncan Mattocks way back in 2011, when he released a version of this painting to commemorate the release of the Star Wars-themed Adidas shoes (such as these Jabba the Hutt shoes) in Australia. That painting was sold, but later in 2014 he painted the same theme again, this time adding a lot more detail. 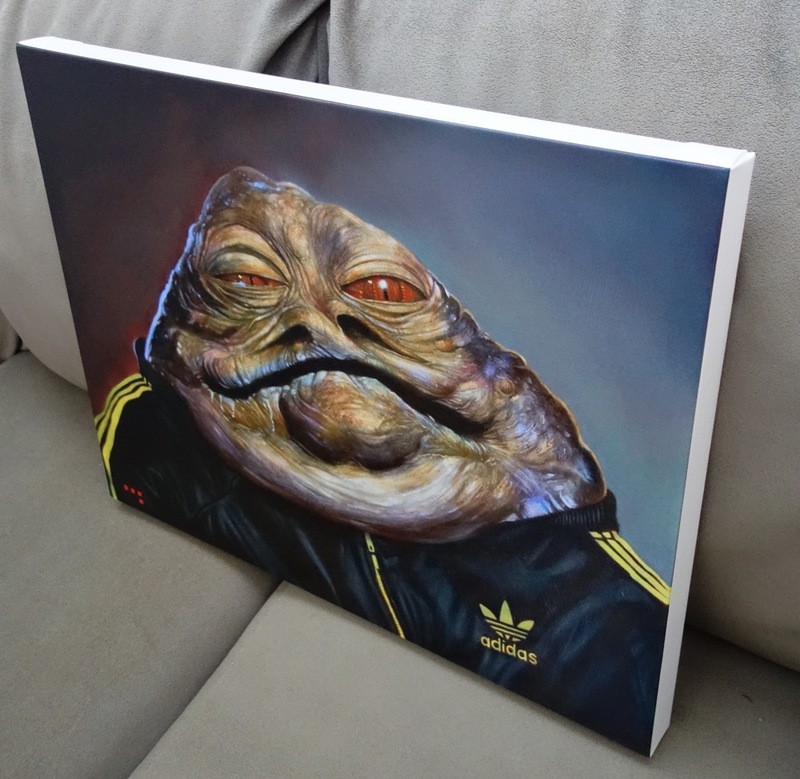 The second version is just fantastic, and one of the best paintings of Jabba I’ve ever seen. Unfortunately I couldn’t afford the original, but he told me that it would eventually be offered as a print, and that finally came true recently. You can buy art prints, canvas prints, and even things like tote bags and iPhone cases with this image on it through the Society6 website. It turned out that the larger art prints weren’t that much cheaper than the larger stretched canvases, and when you consider that you don’t need a frame for a stretched canvas, it seemed like the better deal. I went with the largest one available: 24″ x 18″. It’s quite nice looking — even my wife was impressed!